Engineers Australia last year estimated the infrastructure deficit — classified as the amount needed to bring the nation up to scratch — at $800bn. Infrastructure Partnerships Australia (IPA), the private think tank, has put the figure at $770bn…. Of the current building projects, he said: “There’s certainly a lot happening, but it’s all catch-up. 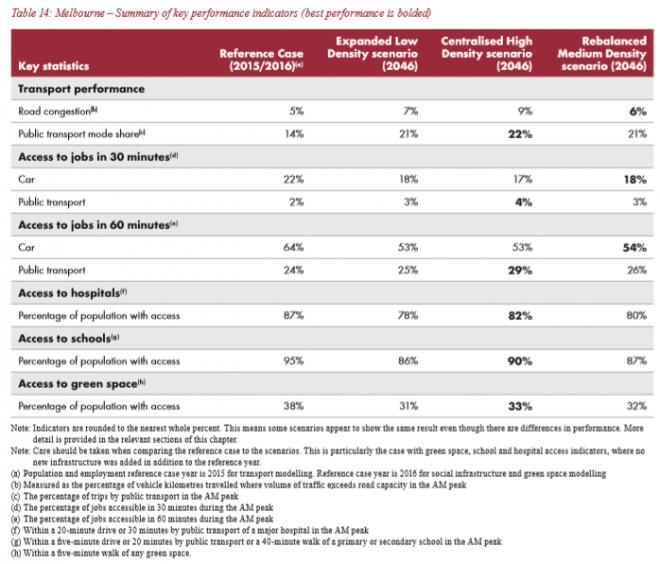 Last month, Infrastructure Australia released a report entitled Planning Liveable Cities, which lambasted our governments’ intractable failure to cope with the last 15 years of extreme population growth. The report also admitted that Australia’s federal system of three levels of government and entrenched vertical fiscal imbalances makes it practically impossible to build enough infrastructure to cope with the projected population deluge brought about by the mass immigration ‘Big Australia’ policy. So basically, to overcome the structural impediments Australia will need a new constitution, a new financial system, a new private sector and a new social compact that allows a centrally planned tyrannical system like China’s. Otherwise we’ll be crush-loaded across all public services! 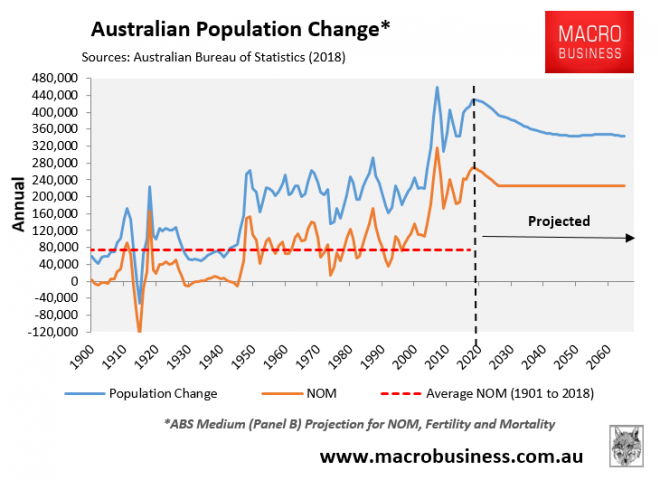 Clearly, the only viable solution to mitigate Australia’s infrastructure and liveability pressures is to dramatically lower immigration (population growth) back to historical levels. Why waste time attempting to ‘plan’ in vein for 43 million people by 2066 when we can simply stop it from happening by slashing immigration with the stroke of a pen? It’s not really an issue. All governments need to do is build enough infrastructure to accommodate lots more freshly imported vibrants and it will be aok. *and if the banks ease up on their lending crackdown. The answer is less Ubers, more tuk-tuks! I think our “apartments for international investors” market is toast. Construction industry faces ‘screeching halt’ over cladding risk – AFR. i.e. where is the taxpayer funded bailout for greedy Chinese speculators? It’s our duty to bail out our Chinese brethren! YEAH!!!! Name one or more warnings from industry pundits that the AFR have reported! bwahahahaaaaa! However note this is the future. Lie! Shift the blame! Hoocoodanode??? Every damned piece of dishonesty about this including dishonesty about the proper solutions. Incidentally Endgineers Australia have been big boosters of immigaration, getting 4k a person to recommend, even though there is no real skill shortage. to avoid using spare capacity of the existing infrastructure we would need to build infrastructure (water supply and sewage, roads, public transport, hospitals, schools, …) equivalent to building a new city with 250k new homes housing 450k people every year? How much it would costs to rebuild all Newcastle infrastructure (roads, rail tracks, hospitals, schools, … buy buses, trains, dams, pipes, cables, … ) from scratch in a year? would 10 billion we spend per year be enough? We need to re-install the tram network – just get the map of what it looked like in the 50s. But just re-install it on top of the road – I I don’t know why we have to dig the road up to lay tracks. That’s what is taking all the time. those lines aren’t electrified are they? I though these new trams were battery powered? okay, then bring back cable cars. The old tram between rushcutters bay and woollahra was a cable car. the cable car tow room was right next to that hotel in rushcutters. By setting the rails into the road, it is possible for other vehicles to easily cross over the tram tracks. We’re already running a chronic and severe CAD that involves seeling most of our resources and core businesses to foreigners. Imagine what he effect would be of such a programne. This number is probably undercooked. Where are they building the new beaches to take the pressure off Bondi, Coogee, etc? None of it will be built. Australia has already sucked in well over a trillion dollars to create the property bubble. Labor policy is all about massive spending on ‘infrastructure’ to cater for big Australia/more migrants. It worked for them in the Victoria State election. And the Liberals got smashed by the Labor. And part of that was the facile promise of ‘Make work jobs for migrants, including even more migrants to brought in for the make work’ ! Ok – so if it’s a $800 billion infrastructure deficit as per the article / 15,000,000 taxpayers = $53k each in today’s dollars. That’s most likely $100k for each Australia taxpayer / user pays, borrowings / whatever funding & inflation & interest plus blowout over a 10 year period. Especially if the migrant numbers – mostly the TR overshoot continues to accelerate. We have 1.9 million new migrants (1.9 million citizen/ PR grants in the last decade) who are mostly unskilled (73% are unskilled or dependents) & many not assimilating (10 years in Australia no English) and their incomes are low so their tax contribution to any of this infrastructure will be low. 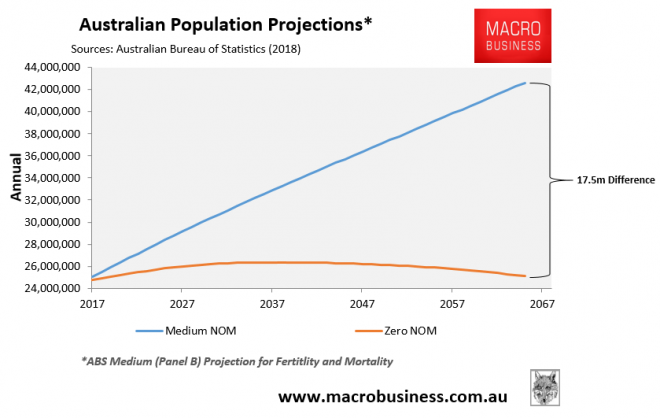 With Welfare, Centrelink Medicare & other assimilation costs, they already are – and will remain tax contribution negative for the decades – especially as they age, & the real cost of family reunion & other non assimilation & productivity impacts kick in. Stuck with that burden. In addition to these1.9 million PR, we have onshore in Australia another 2.4 million Temporary Residents (TR) and an estimated 440k Tourist Visitors Working lllegally (TVWI being at least 5% of the 8.8 million tourist visitors yearly : ABF). In this 2.8 million TR & TVWI number, we have a very high ratio of visa breach, with over 1.4 million working in Fake ID, ABN, labor rings, cash in hand etc. (Detailed in this forum before including Dec 2018 numbers which are alarming in growth). And their tax contribution is even lower than the 1.9 million PR. So where will the tax & user pays burden fall for this $800 billion infrastructure cost? Lower & middle income families, couples, singles. Well over $100k+ per person over the next 10 years. Labor is conditioning Australia that massive infrastructure projects are needed to ‘catch up and ‘cope with’ future immigration demand. The simpler answer as MB outlines is to shut down immigration (PR) – but that in itself does nothing as the PR yearly intake of 190k or so is only tiny fraction of the issue. We ALSO need to aggressively exit at least 1.4 million TR & TV migrant guestworkers in blatant pretext visas or breach, only here to live & work illegally. That’s equivalent to 7.5 years of negative PR intake. That would allow our infrastructure to ‘catch up & cope with’ a sustainable population with a higher quality of life, reduced congestion & the population right sized to the infrastructure we already have. Particularly in Sydney & Melbourne. As example. We have 2.4 million TR & 440k TVWI (Tourist Visa Working Illegally) = 2.8 million in total. The vast majority third world adult unskilled on visa pretexts – with a 90% concentration or 2.5 million in just Sydney & Melbourne. 🔻300k elsewhere, mostly other cities in mini me migrant slum enclaves. At least 1.4 million of these 2.8 million TR & TVWI are in visa breach / outlined in detail in this forum before. Imagine.. if you can, a Sydney or Melbourne cleansed of 1.4 million unskilled third world migrant guestworkers in visa breach. Just by enforcement of existing visa rules. ▫️That’s at least 300,000 ex Australian dwellings migrant guestworkers occupied – now restored back to Australian use. 6 years supply. Enough to house the 116,000 Australian permanent homeless and the 350,000 seeking affordable housing. ▫️That’s 1.4 million less users of our public transport system & infrastructure. ▫️That’s 250,000 cars off the road mostly in our cities. ▫️That’s 1.4 million migrant guestworkers who see steal at least 1 million FTE equivalent Australia jobs, fake ID paying little or no tax, cash in hand. All those jobs can be taken up by Australian unemployed & seeking work which includes a huge ratio of legal migrant PR unemployed. ▫️Our unemployment tax bill go down, wages go up and our ‘legal tax intake’ goes up. ▫️Major infrastructure projects would be scrapped. Our population would be right sized for the infrastructure we have which is quite adequate for the Australian population ‘sans’ the illegal migrant overload. That’s a 23.6 million Australia, not 25 million. That’s a far more sensible population & infrastructure plan, but both major party are in tunnel vision thinking a ‘Big Australia Infrastructure Make Work’ will capture the migrant & worker swing vote. Well the 2.8 million TR & illegally working Tourists work / steal jobs, but they don’t vote. Many of the 1.9 million PR who exploit our welfare & healthcare don’t vote as they remain sole passport China First 🇨🇳, India First 🇮🇳. The other PR anecdotally want migrant intake reductions and massive crackdown on the migrant TR. They say the migrant TR guestworkers erode their jobs, steal their housing & congest public & transport services. So it may actually be a vote winner in the migrant PR and now citizen voter base to exit at least 1.4 million TR & TVWI in visa breach. The Australian born generally have had a gutful. Our young people denied employment, wages decline, education sold out as a migrant guestworker visa alibi and any chance of home ownership destroyed by the migrant influx. Cost of living thru the roof, mass white flight & eviction if not ethnic cleansing of Australia’s out of their housing onto the street as the foreign dirry money moved in & converted their Australia dwellings & now whole districts & suburbs into migrant only sublet cash in hand bunk share slums. So a vote winner there. The eco greens surely would see this is less damaging to our environment & global emissions, every third world migrant guestworker who enters Australian & lives in a higher emissions economy creates an extra impact. We could probably meet our emissions targets & not need new dams or power stations just by exiting the 1.4 million TR & TVW in visa breach. And morally & ethically it’s the right thing to do. These 1.4 million migrant TR & TVWI are in visa breach or on visa pretexts. Many are breaking the law, their conditions of entry. Their behaviour, fraud, vice, job & tax theft, living illegally and other criminal acts would not be tolerated in their home country or any other country either. Exit at least 1.4 million TR/TVWI illegals. Back to 23.5 million. Right Sized Australia.